Board Chair - Tom Kohler is a native Savannahian who spends his Saturday mornings shopping the Forsyth Farmers’ Market. Tom has been active in a wide variety of civic work for many years, and has recently retired as the Ex. Director of Chatham Savannah Citizen Advocacy Inc. In his earlier days his desire to grow his own food led him to co-found the Savannah Plant Swap with Jane Fishman. He would make many trips to Lyons, Ga to bring back truck loads of quail manure for their gardens. Tom is on our Fundraising Committee and we are excited to welcome him as our new Board Chair. Josh abandoned his engineering career to follow his dream to open and operate a small neighborhood restaurant with an emphasis on locally sourced food. With the help and support of his wife Whitney he opened Green Truck Pub in 2010 and has been living the dream ever since. Josh chairs the Vendor Committee and works closely with the farmers and vendors of the Forsyth Farmers' Market. Catalina is a Filmmaker and Community Organizer in Savannah. Her community organizing endeavors and documentary work in the city of Medellin - Columbia and in the United States have had a connection to quality food sourcing. After immigrating to the United States, Catalina's personal discovery into food related issues began. She now considers the quality of food as an integral part in protecting her family's health and overall well being. Datubo is the owner of an outpatient mental health medical group, Georgia Outreach LLC. He serves on the board outreach committee where he gets to put his passions to use connecting people and people groups. He says, "People are all we have so the more we are open to connecting the more growth there is." Tuba is also an avid outdoor enthusiast and foodie for life, which explains his love for the farmers market. Carole is a native Savannahian who recently “semi” retired after spending over 30 years in various aspects of the city’s non-profit world. She has been a faithful shopper of the market since its onset and particularly enjoys the camaraderie and community atmosphere that the market fosters. She loves to talk about the beautiful, fresh produce with vendors and swap recipes with fellow shoppers on Saturday mornings. Carole joins the board as treasurer and is interested in promoting awareness of the market and farm truck within communities that have limited access to fresh, locally grown produce. Carrie is a primary science teacher at Savannah Country Day School and entrepreneur with Rodan and Fields. Growing up, she was an avid gardener alongside her grandparents. She has been connected to local food scene by being a regular patron at farmers markets in the north and serving years in an Americorp Sustainable Agricultural program. Presently, she shares what she has learned regarding food with kids at school. She says, "students crave the connection to food and nature and I look forward to fostering pathways for this connection to branch throughout the city of Savannah." 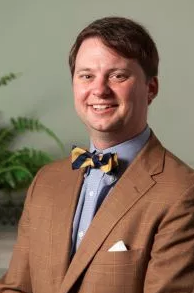 Jay is an attorney with Bouhan Falligant in Savannah. He is an avid, albeit amateur, gardener and an expert FFM shopper. Jay is passionate about introducing locals to the food bounty that is available at their doorstep. He currently serves as the treasurer of the Forsyth Farmers' Market. Laura Seifert is the Director of the new, non-profit Savannah Archaeological Alliance. Although she knows a lot about dirt, she is better at digging square holes and finding artifacts than growing plants. If Laura misses a Saturday market, it’s usually because she’s doing an open water marathon swim. Having committees provide us with an opportunity to receive valuable feedback from the Savannah community. Committees work closely with the Board of Directors. Please contact us by filling out the form below if you are interested in serving on a committee. Education Committee- help to oversee educational activities and provide input for programming. 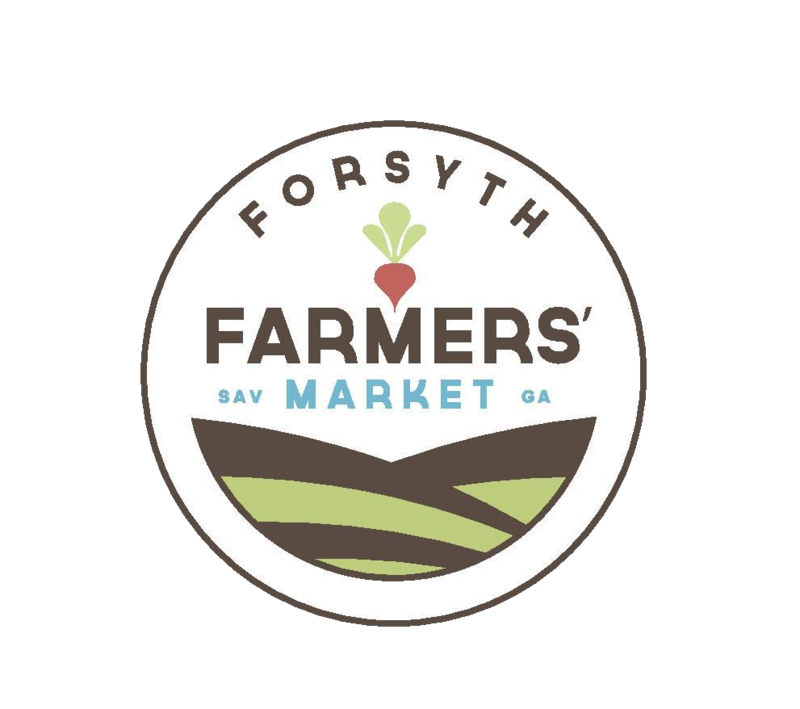 Vendor Committee- oversee and provide input for anything that deals with the Vendors for Forsyth Farmers’ Market, to include farm visits, vetting, rules, and applications. This committee is typically active from August to December of every year.